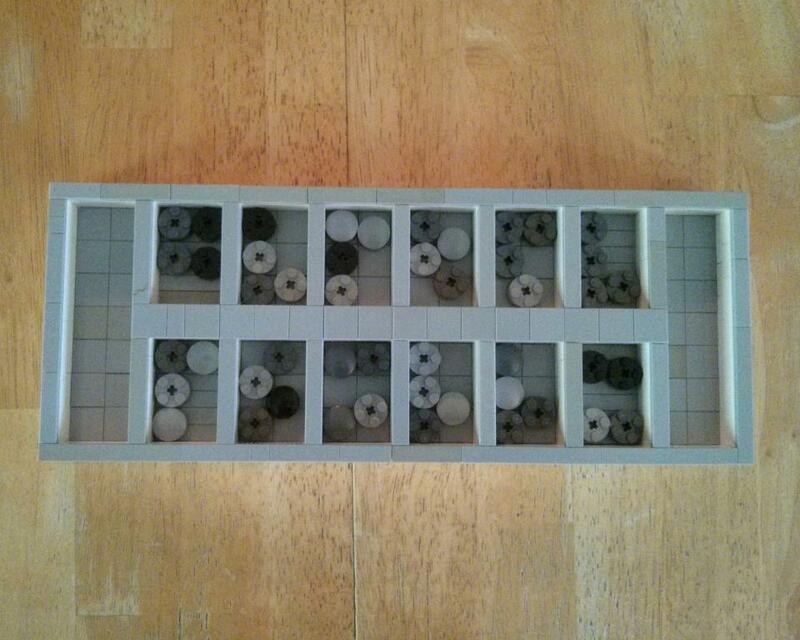 My daughter has been playing Mancala in her summer program. She couldn’t wait for me to either buy or make her a board, so she made her own out of LEGO. Since I was the only person available to play with her, she insisted on teaching me the rules for the version of the game she has been playing. It’s pretty simple really, who ever gets the most seeds, tokens, or whatever you want to call them wins. It’s much easier to show somebody how to play than describe it, but I’ll do my best. Looking at the board, your “home” is the long pocket on the right. You pick a pocket on your side (bottom) and take out all the seeds. Then you have to place a seed in each of the pockets going counter clockwise from the pocket you picked the seeds out of. If you make it to your home you can drop one seed into it and then if you have more you can continue clockwise into your opponents pockets. You don’t have to drop seeds in your opponent’s home pocket. If you drop your last seed into a pocket with more seeds you can take out all the seeds and keep going around the board. If you drop your last seed into an empty pocket your turn has ended. If your home is the last pocket, you can go back and pick seeds out of another pocket to continue. If there are no seeds on your side, you can go to the opponent’s side and pick up seeds. Whoever has the most seeds in their home when there are no more seeds to pick wins. I think that’s it. It has very simple rules, but you can use as much strategy or as little as you like. You can count ahead before picking up the seeds to find your best move or just pick up some seeds and play.